The co-working industry, while not as highly discussed as AI or VR, has become the hotbed of deal activity globally, moving from the niche market to the mainstream. And if anything, New York-based WeWork can testify for it. Right after SpaceX and Palantir, WeWork is the 7th most valuable startup in the world with a most recent US$20 billion valuation. The co-working startup has reinvented dull offices as platforms for creators and is now even moving into homes. In Asia, co-working startups are also headlining news with Chinese co-working firm Ucommune recently acquiring rival Woo Space and boosting its valuation to US$1.7 billion. Meanwhile, Second Colony has also reported opening its new luxurious co-working space at KL Eco City worth MYR4.6 million, and that’s just the news published yesterday. But unlike the co-working sphere in the United State, where VCs have already settled for their favorite spot. The Asian scene is still pretty much open for game with recent trends in the co-working industry seeing startups beginning to form alliances, in an effort to strengthen their foothold in the growing market. Ucommune, formerly known as UrWork has made two acquisitions in the past three months, one Woo Space and the other was New Space earlier this year, which allowed it to attain the unicorn status with a boost to valuation of US$1.7 billion. To date, Ucommune has grown to cover more than 100 locations in more than 33 cities, claiming the title of Asia’s biggest co-working space with offices in China, Singapore, London, and New York – servicing over 4,000 enterprises with 50,000 members in total. 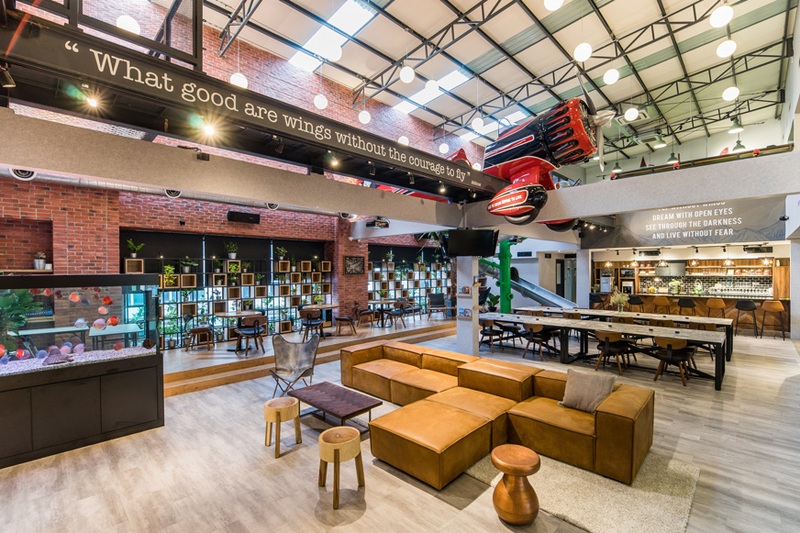 However, the co-working space in Asia is still undecided, as the market in the Southeast Asia region still sees a disperse scene of local and regional co-working players making their foray into the market. In Singapore, local coworking pioneers like JustCo are also aiming to dominate the Asia market, while WOTSO still dominates as Australia’s largest coworking space. There’s little doubt that a co-working startup will continue to grow and one will emerge on the top in Asia, like how WeWork stands in the United States right now. It’s not just about creating a fun, friendly atmosphere with slides as stairs and an ever-full pantry. At its core, co-working or collaborative sharing spaces is a real-estate sector that has cleverly packaged and positioned itself as a tech play attracting top-tier investors and major developers. The key is in how they can manage the space.